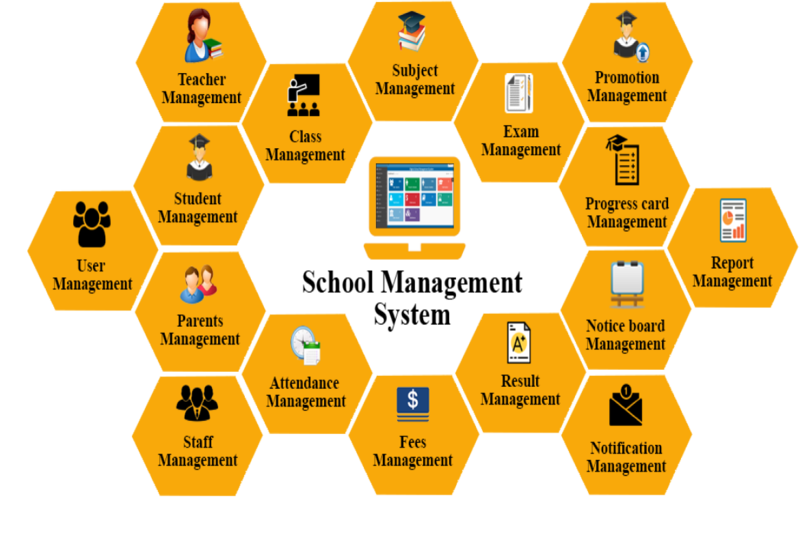 Our school management system software is a complete management software designed to automate a school's diverse operations from teacher profiles, student profiles, classes and exams to a calendar of school events. Nakshatra Technology school software has turned into a powerful online community to bring teachers, parents and students together on a common interactive platform. As the leading web and software development company, we are a perfect combination of developers and programmers. who have designed various kinds of web or the desktop based school ERP software, which is quite beneficial for the students, teachers, admin and also for parents. Nakshatra Technology develop quality-oriented modules such as the school academic modules, school administrative modules, management modules related to finance, HR management or the student management modules too. We offers you an effective school management system modules for the students, which includes comprehensive details regarding the different department of the schools. This will also help students to communicate with each other and this turns out to be the best platform for the people who desire an open source school management system also.